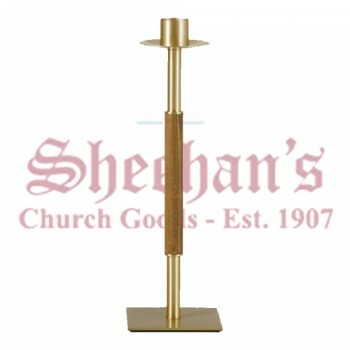 In the church setting, most candlesticks are designed to elevate and support taper candles as part of an altar or pulpit display. 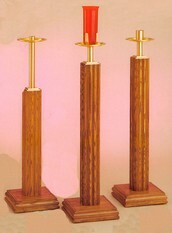 Candlesticks are often used in matched pairs, lit during celebrations, worship services and other ceremonies. 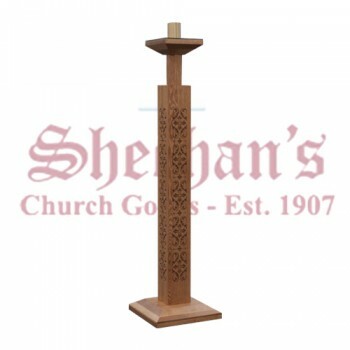 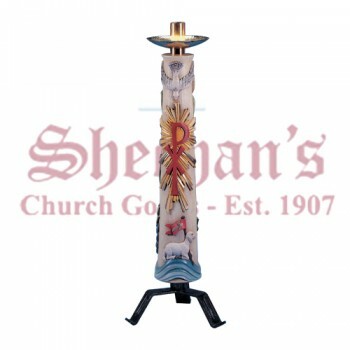 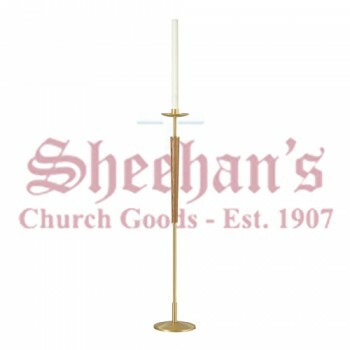 Matthew F. Sheehan is pleased to offer a large selection of church candlesticks to choose from to enhance the altar and worship service. 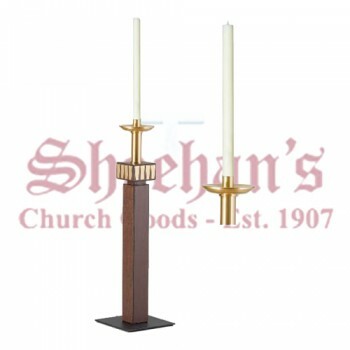 We carry candlesticks in a wide range of sizes and styles. 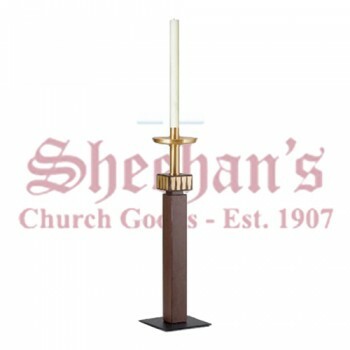 From multi-candle floor displays to single tabletop holders, our large selection ensures you'll find the perfect candlestick for every need. 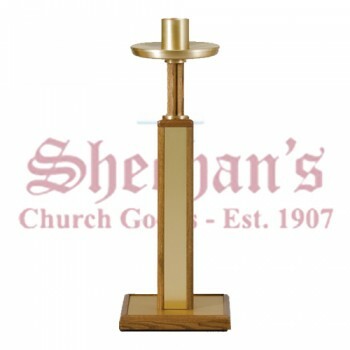 All of our carefully designed candlesticks have widened bases for stability and durable candle holders to last for years to come. 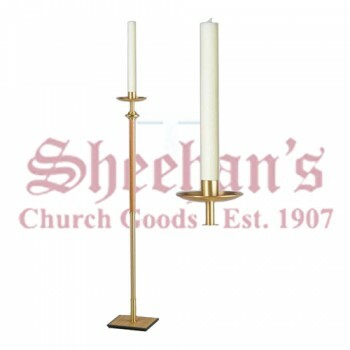 Our candlesticks may be used with your choice of candle, though the color often correlates to the type of service or liturgical season. 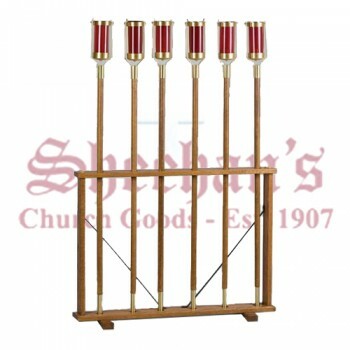 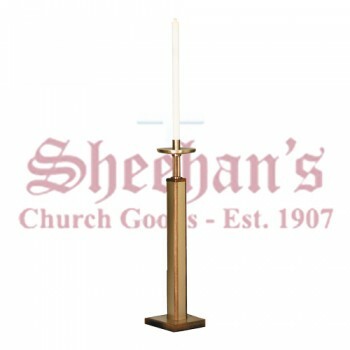 For convenience, we also offer a large selection of church candles in a variety of shapes and sizes. 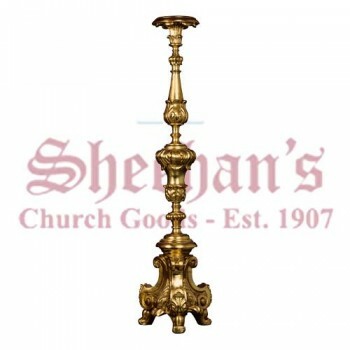 Traditionally, candlesticks are made of brass or another type of durable metal. 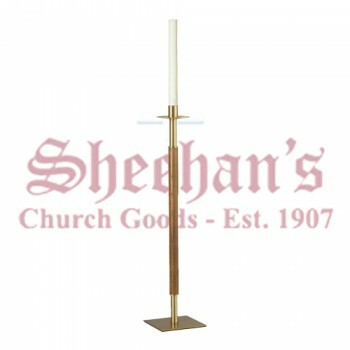 Bronze candlesticks are available in single or multi-candle styles and a variety of heights. 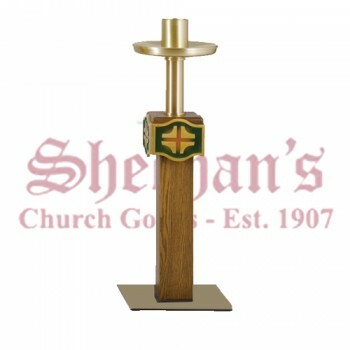 They are available in several finish colors to match your church's decor. 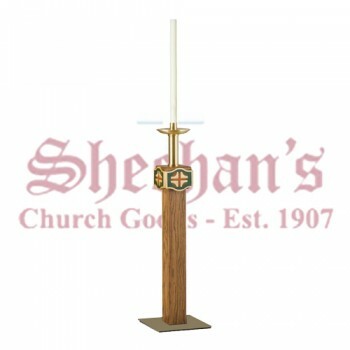 In addition to traditional polished metal candlesticks with your choice of finish colors, we also carry wooden candlesticks in many shapes and styles. 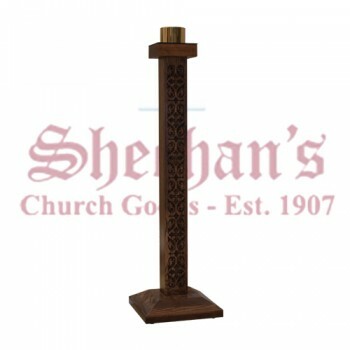 Choose a candlestick that matches your church's decor or opt for something unique to add to the altar. 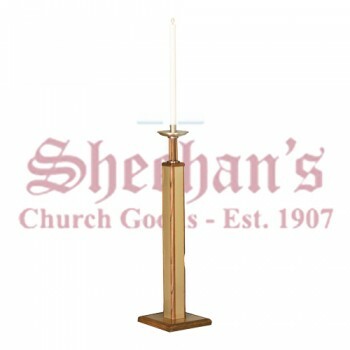 Shop Matthew F. Sheehan for all of your candlestick needs. 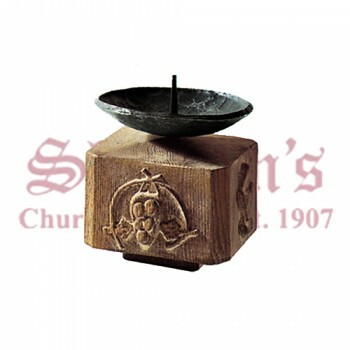 Our large selection of high-quality candle holders ensures you'll always find the perfect accent for your church. 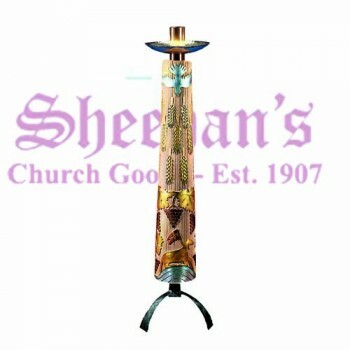 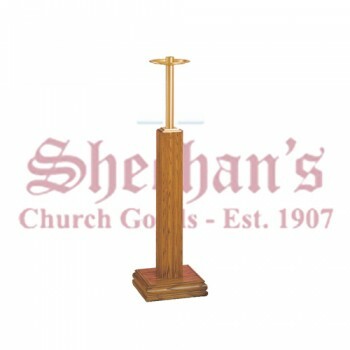 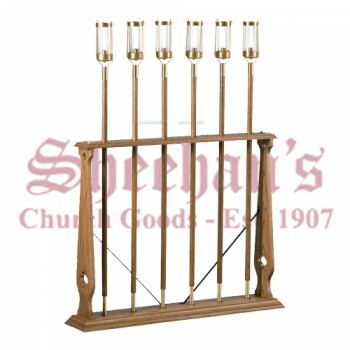 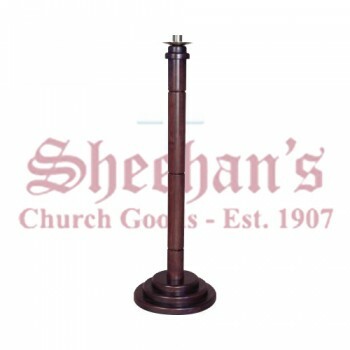 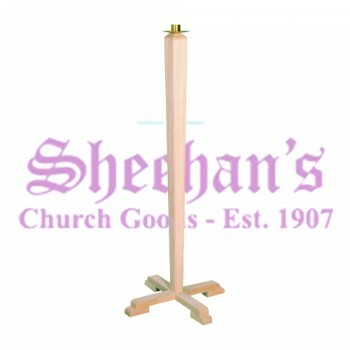 Matthew F. Sheehan has been in business since 1907 and is proud to deliver the finest quality church candlesticks at affordable prices. 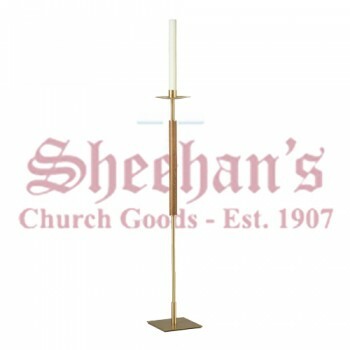 Our inventory is updated regularly, so if you don't see the candlesticks you are looking for, check back soon or give us a call at 1-617-934-6266 and we'll be happy to assist you.